Most preschoolers love playing in sandboxes, but without a lot of work we can turn playtime into a little bit of educational fun, too. This roundup of sandbox learning activities from Books and Giggles is a great place to start. It has everything from sensory ideas to literacy, STEM activities and more. 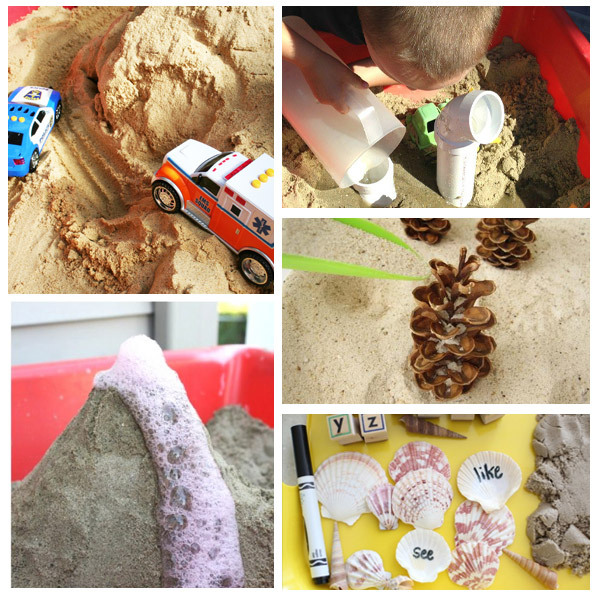 Some of my favorites include sight words in the sand from I Can Teach My Child (great if you have lots of shells collected from beach vacations) and the rain gutter sandbox from Teaching 2 and 3 Year Olds. Do you work playful learning into sandbox time? I’d love to hear your ideas.